Mercedes-AMG Motorsport celebrates a pair of podium finishes in the FIA GT World Cup at the occasion of the Macau Grand Prix. With the #888 Mercedes-AMG GT3, Maro Engel (GER) finished second and in the car with starting number 1, last year’s winner Edoardo Mortara (SUI) rounded out the winner’s podium after the GT3 race with its high-quality field. With another top ten result, Raffaele Marciello (ITA) completed the team’s success at the legendary street circuit in the #999 entry. Mercedes-AMG Team GruppeM Racing was running all the three cars from Affalterbach. 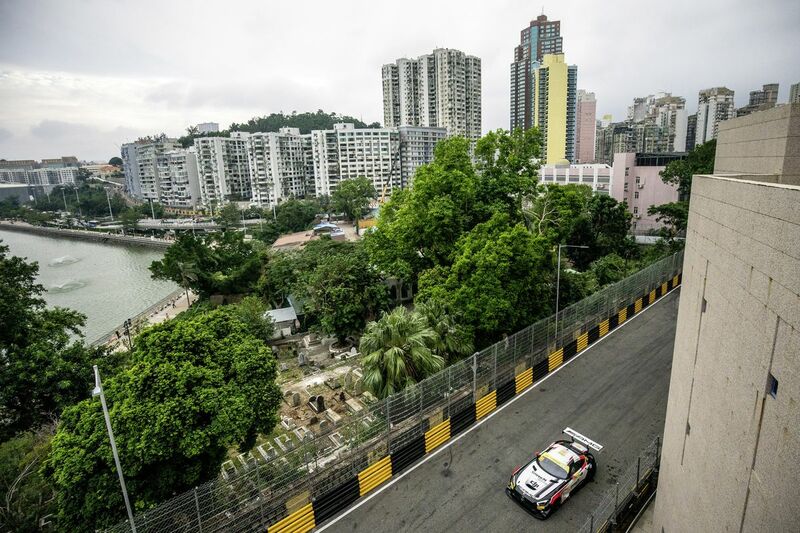 At the Guia Street Circuit, where the legendary Macau Grand Prix was held for the 65th time this year, all three Mercedes-AMG GT3s run by the Mercedes-AMG Team GruppeM Racing presented themselves as contenders for victory from the very beginning. In Friday’s qualifying, Raffaele Marciello posted the fastest time on his final flying lap with the #999 car to secure pole position for the qualification race on Saturday. In the race, decisive for the starting grid positions for the main race on Sunday, the 23-year-old lost one place in the action-packed opening stage. Still, the reigning Blancpain GT champion commandingly held on to second place until the finish after twelve laps. With the #888, Maro Engel, the 2014 and 2015 Macau race winner, had started third into the race at the narrow street circuit and crossed the finish line in the same position. Just after the start, there was a heart-stopping moment for Mortara: in the turmoil after the start, the defending champion, who started from fourth on the grid, tangled with an opponent who retired after that. Mortara was able to continue the race without losing a position and after the necessary safety car intervention, he used his experience to fend off the challenges from his opponents. The double podium by Marciello and Engel combined with Mortara’s fourth place got the Mercedes-AMG drivers into good positions for Sunday’s main race. 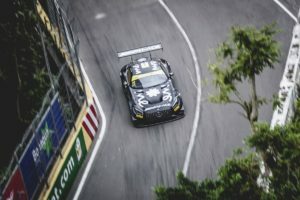 In the race, scheduled for 18 laps with the FIA GT World Cup at stake, all three Mercedes-AMG GT3 initially defended their starting grid positions. From the beginning, Marciello put the race leader under pressure. The Italian risked everything and staged a thrilling battle for the lead. On lap six, Marciello missed the optimum braking point for the Lisboa corner and had to let several drivers pass. In the remaining time, he still made up some ground and scored another top ten result by finishing ninth in his second participation at Macau. In second and third place, Maro Engel and Edoardo Mortara mounted a challenge for first place. 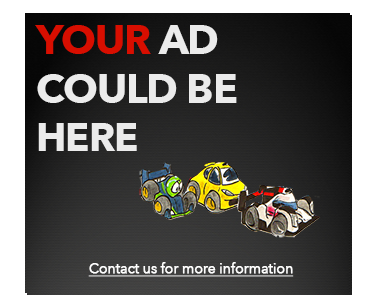 However, the decisive opportunity for an overtaking move didn’t materialise at the narrow street circuit. 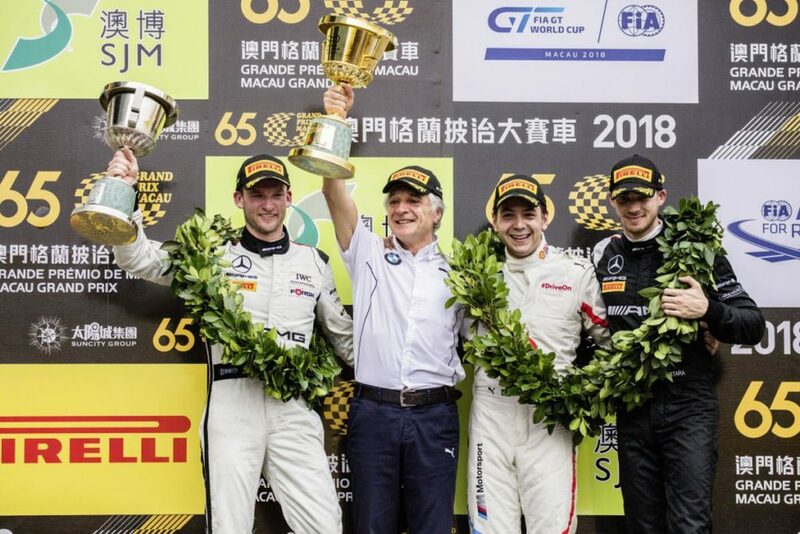 Engel crossed the finish line in second place, 0.981 seconds down, closely followed by Mortara, the four-time GT race winner at Macau, who also posted the fastest race lap time. Since 2015, the first year in which the race on the streets had FIA GT World Cup status, Mercedes-AMG has at least scored one podium finish every year with this year’s double podium result and victories in 2015 and 2017 and therefore is the most successful brand in the prestigious FIA GT World Cup.